Formally Albany Aquaducks: Advantage offers the only fleet of vintage trolleys in the Capital District...perfect for shuttle transportation during your wedding, or any other occasion. You will see our trolleys around town, as they are very active during the holidays and commuinity events. Each trolley seats up to 30 passengers and is operated by specially trained licensed drivers who are knowledgeable tour guides. 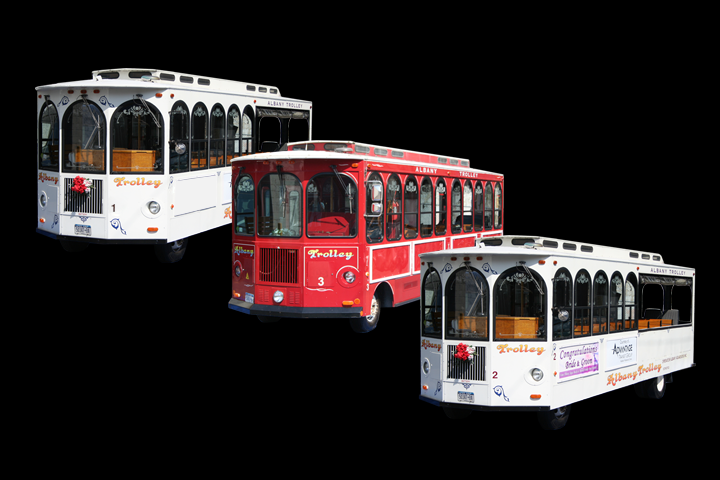 The Trolleys also offer educational field trips and special tours based on a variety of themes. We have a total of three trolleys having a maximum capacity of 90 passengers. Reserve our trolleys now for your special occasion. Please note: Aquaduck land/water boats are no longer in the Capital District.